Gibson Lanty Mahaffey was born in the southeast corner of Marion County, (West) Virginia. While his birth date is commonly given as 11 August 1857, the courthouse records of Marion County list his date of birth as 18 September 1858, which is consistent with the information on the 1860 census. Regardless of the date, he was born the eighth child and youngest son of Stephen Mahaffey and Ellenor Carroll. Stephen Mahaffey, born near Connellsville, Pennsylvania, came to Monongalia County to farm about 1830. His land would become part of Marion County at its formation in 1842. His father, Joseph Mahaffey, had been among the original settlers of Westmoreland County, Pennsylvania. Ireland, perhaps County Donegal, was their ancestral home. Gibson was raised to be a farmer, having established himself as such in the Winfield district of Marion County by the 1880 census. In the Spring of 1881, he married Eliza Jane Nuzum who was born on 3 February 1866 in Marion County on the Tygart Valley River. She was the great-grand daughter of Richard Nuzum, who established the community near Valley Falls in the early 1800’s. Like her husband, Eliza Jane was also the eighth child of nine total, born to George Martin Nuzum and Lorena Carpenter. 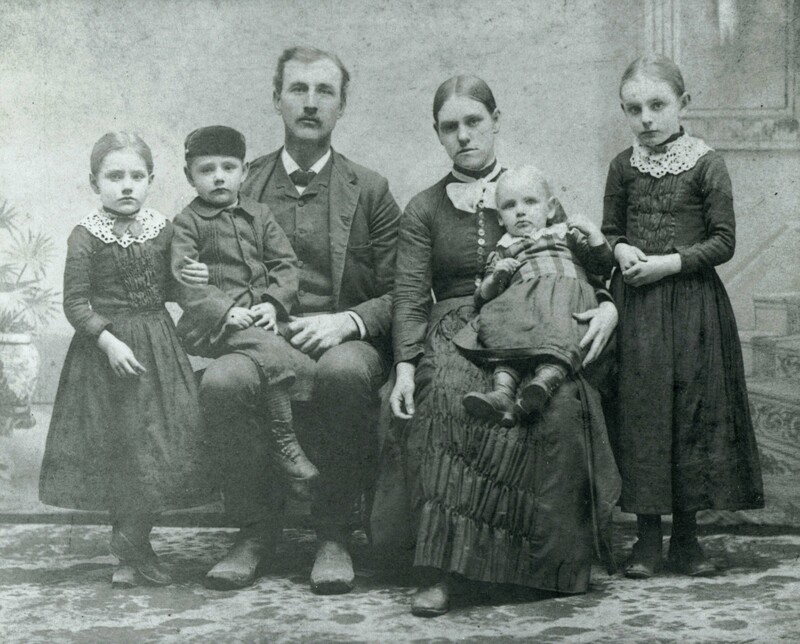 Gibson and Eliza Jane began farming in Marion County, welcoming their first child in 1882. 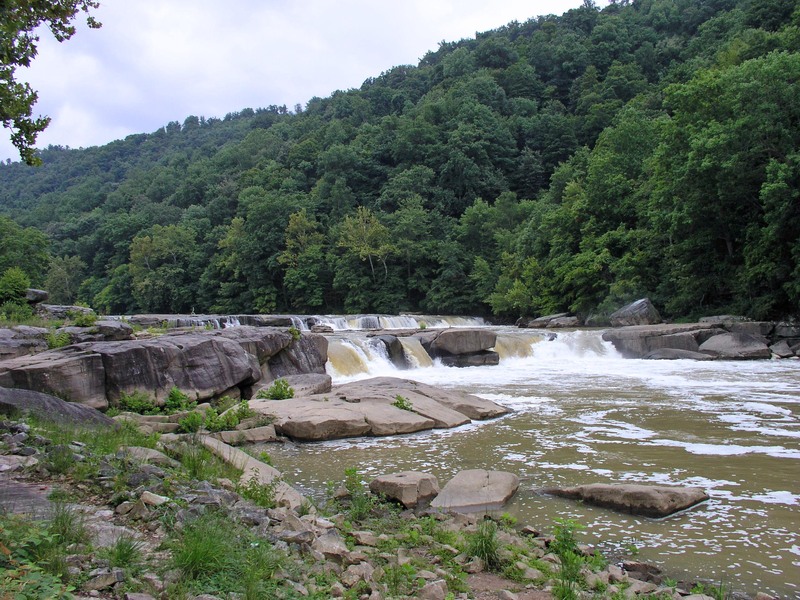 They would move into the Tygart Valley shortly thereafter, having purchased a large farm in Taylor County along Plum Run in 1883 with Gibson’s brother, Stephen. The farm tract was divided equally between Gibson and his older brother in a deed dated 1888 and recorded at the Taylor County Courthouse. Living on adjacent farms, both brothers would raise large families – Gibson and Eliza Jane would have 12 children; Stephen would have a total of thirteen children by three wives. Tragedy descended upon the family with the birth of their 12th child, Dorsey Renaldo Mahaffey. Following an apparently difficult birth on April 19th, 1907, Eliza Jane died of septicemia three weeks later. The child, named for the doctor that had delivered him and cared for his mother, died at three months of age from “brain fever”. Following the death of his wife, and possibly because of a disagreement with his brother, Gibson moved his family to a new farm in Washington County, Ohio, sometime around 1915. There he continued to farm with his children and their spouses. Gibson Mahaffey died on March 24th, 1935, at St. Joseph’s Hospital in Parkersburg, West Virginia, of cardiac and renal disease. He was taken to Grafton, West Virginia, to the home of his daughter, Grace Mahaffey Gerkin, for visitation until the hour of the funeral. Burial followed at Maple Grove Cemetery in Fairmont, alongside his wife and youngest child. I enjoyed this blog with the beautiful pictures and commentary. I am also a Mahaffey, descended from Samuel Mahaffey, also from County Donegal, who came to Marion County, Ohio.